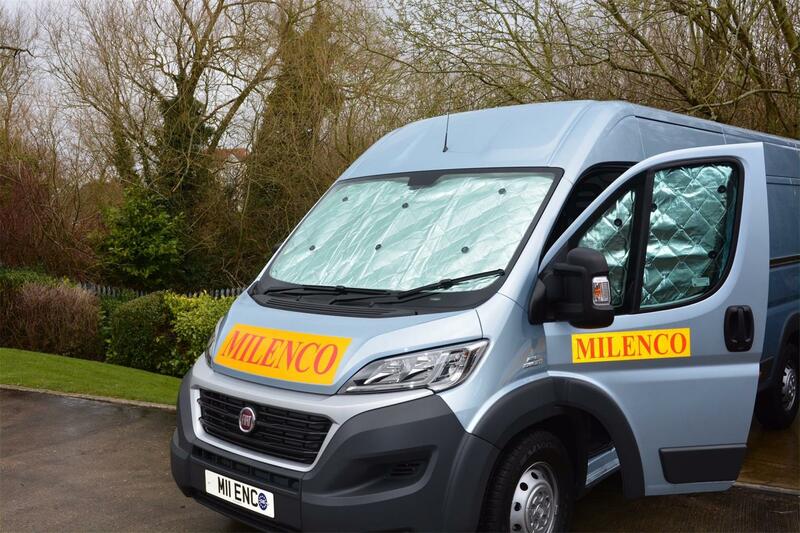 Milenco, using their reputation for superior quality, innovation and design, have turned their attention to insulation screens for cabs and motorhomes. 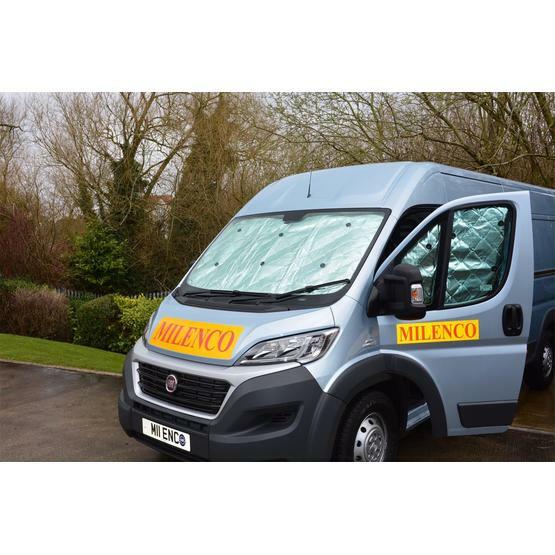 Milenco have come up with a real winner with our one-size-fits-all Motorhome Thermal Blind. 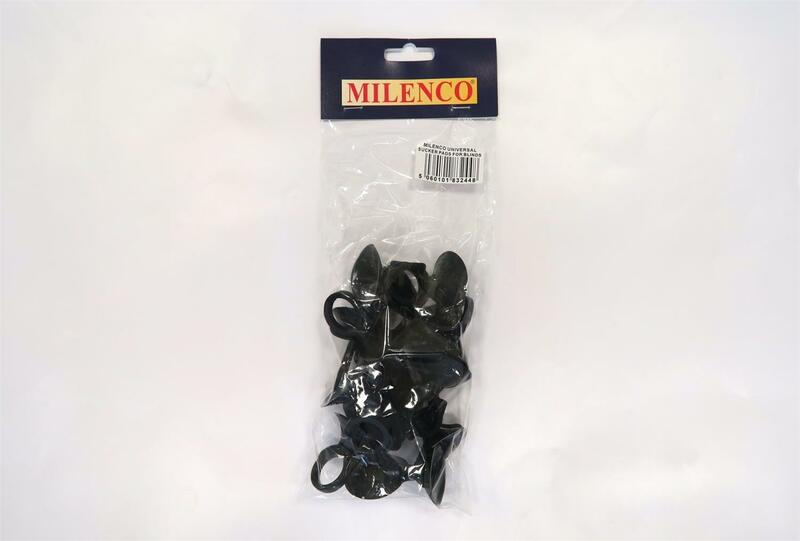 It also comes with superior quality suckers with their own little handles and because these are in black they won't let any distracting light through, so you get a good nights sleep guaranteed! Price includes front and side windows. 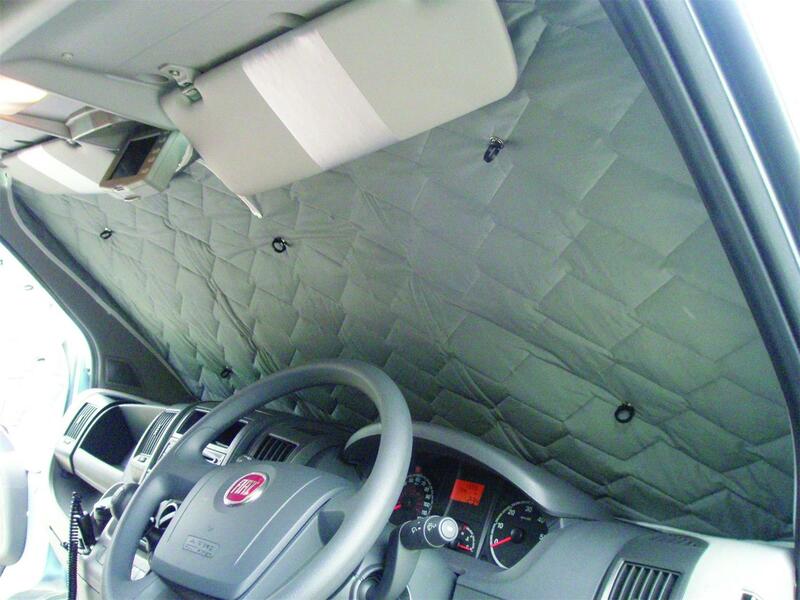 Before removing always start your engine and warm up your demister and then remove blinds from the screen in winter conditions for optimum performance. Will this fit a Peugeot 2018 model? 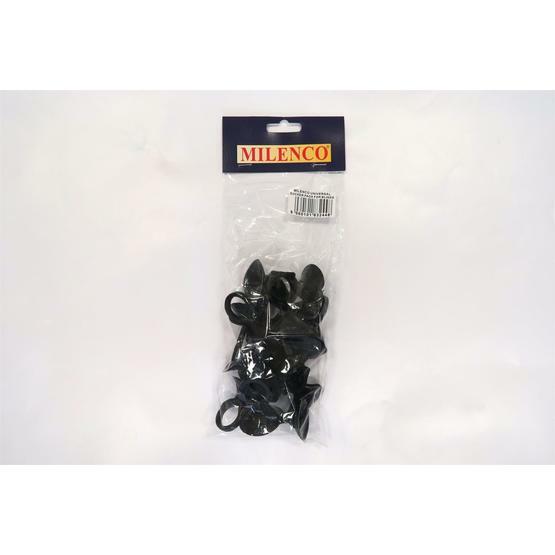 Yes, we have confirmed that this will with Milenco. Received them the very next day. One problem was they were missing the suckers. A quick phone call the next day to say they were missing. Had them in the post the very next day and fitted them to our van. A great purchase and great service. 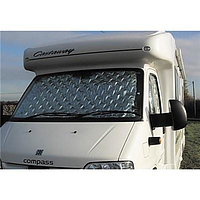 We bought these for our T reg minibus conversion a Peugeot Boxer and they fit very well can't comment on the insulation properties as we won't be using them until July. I think they could do with an extra sucker on the corners of the front windscreen cover but this is a minor negative. Well worth purchasing, well made and a reasonable price! Fitted Peugeot Boxer perfectly. Not yet tried its insulation ability. Have found the price of internal thermal blinds somewhat expensive, so was a little concerned the quality of these blinds may not be good enough. These concerns were quickly dispelled. 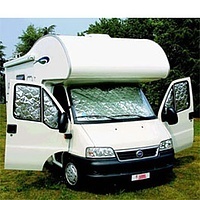 Robust, well made blinds that fit my Fiat Ducato 2011 model perfectly and work exactly as hoped. 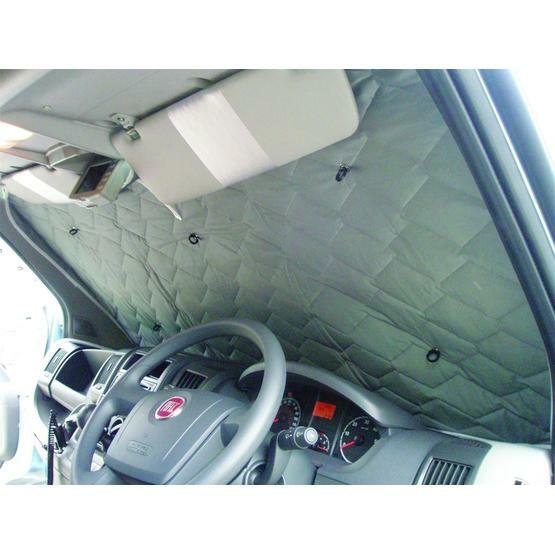 The suction caps ensure the blinds cling to the windscreen and side windows with ease, and the stitched panels appear strong. Only time will tell, but first impressions are very positive. I recommend you try these before paying out twice as much for other brands. Lovely generous fit for my Renault master conversion. Good quality. Can recommend. 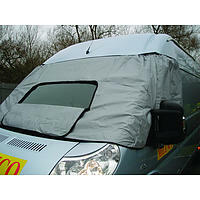 excellent product and easy to fit .we use it for our campervan instead of the curtains as it keeps the van cool during the day and comfortable at night. 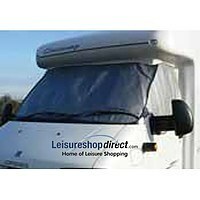 Would recommend this product to campervanners like ourselves. Good but could be about 3 inches wider on the screen piece and maybe 2 inches longer on the sides, there are small gaps around the edges. Overall a good bit of kit. Easy to fit and I think it will be a very useful addition to my motor home. On a very warm day at the weekend it kept the vehicle very cool and I think it will keep it warm during the winter months. I can't give it five stars until I have tried it out properly. Thermal blinds for Renault Traffic 2014 onwards.